Are you looking for a delicious vegetables recipe with a difference? If you are, you’ve found it! Here’s my orecchiette with broccoli, garlic and chilli for you to enjoy. 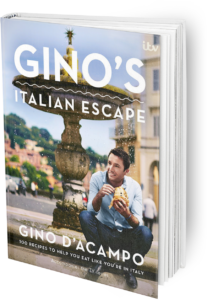 I grew up eating orecchiette, the typical pasta shape of Puglia. The name translates as ‘little ears’, which is exactly what the shape resembles. Italian grandmothers traditionally make the pasta by hand, shaping it while having a good old chat. The hollow in the little ears perfectly entraps whatever sauce they are served with. 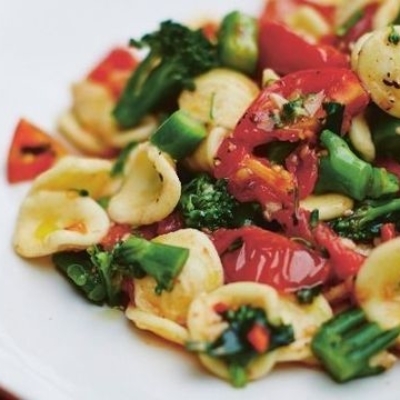 Feast your eyes on the finest orecchiette with broccoli, garlic and chilli! It’s straightforward and fun to make this great dish. Simply follow the instructions below and get the perfect result. Heat the olive oil in a pan over a medium heat. Add the garlic, chilli and tomatoes and fry for 2–3 minutes until the tomatoes are softened. Stir in the parsley. Meanwhile, cook the pasta in a large pan of boiling salted water until 1 minute away from being al dente. At that point, add the broccoli florets and cook for 1 minute. Drain the mixture and add it to the sauce. Mix well and season to taste. Pile the pasta into serving bowls or deep plates, and grate some Pecorino over it, if desired. 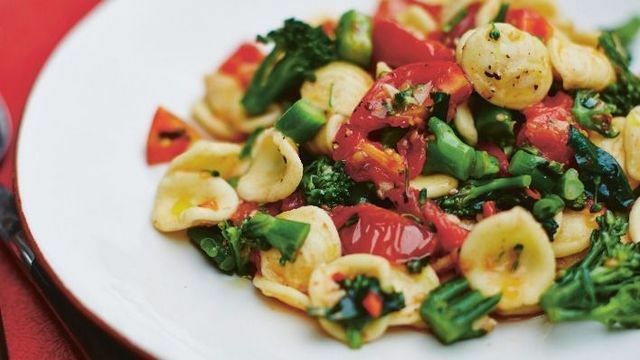 Once you’re done, simply sit back and enjoy your orecchiette with broccoli, garlic and chilli and don’t forget to check out other great authentic Italian recipes including great antipasti recipes, Italian pasta recipes, Italian soup recipes, Italian beef dishes and authentic pizza recipes.